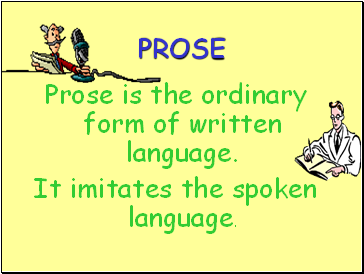 Prose is the ordinary form of written language. It imitates the spoken language. 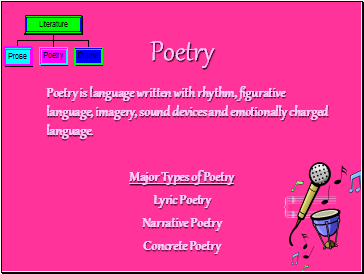 Poetry is language written with rhyth, figurative language, imagery, sound devices and emotionally charged language. 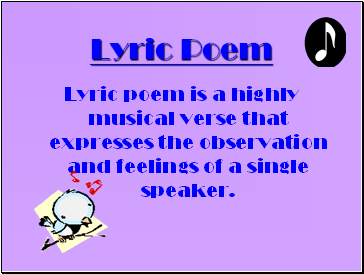 Lyric poem is a highly musical verse that expresses the observation and feelings of a single speaker. 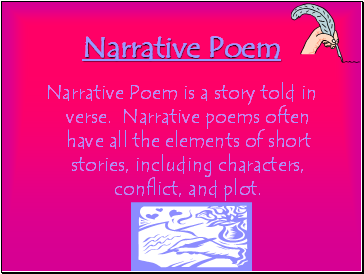 Narrative Poem is a story told in verse. 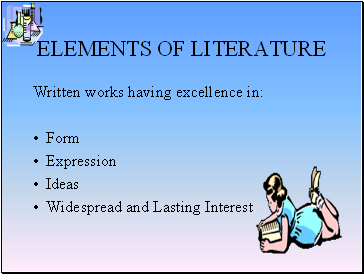 Narrative poems often have all the elements of short stories, including characters, conflict, and plot. 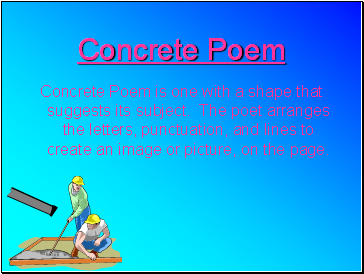 Concrete Poem is one with a shape that suggests its subject. 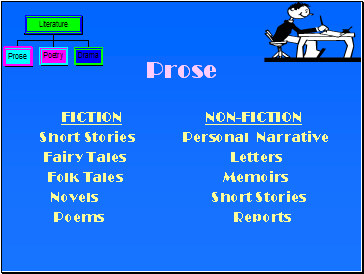 The poet arranges the letters, punctuation, and lines to create an image or picture, on the page. 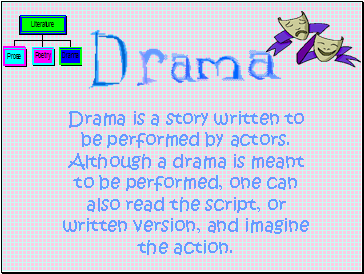 Drama is a story written to be performed by actors. 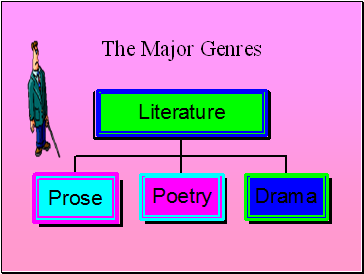 Although a drama is meant to be performed, one can also read the script, or written version, and imagine the action. 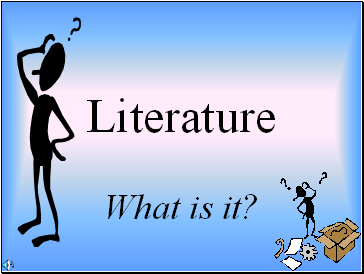 What are the three main genre’s of literature? 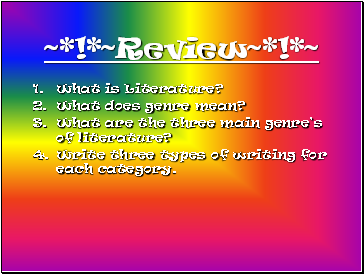 Write three types of writing for each category.